The Lactophenol Cotton Blue (LPCB) wet mount is most widely used method for the staining and observation of fungi. Phenol : Kills any live organism. Lactic acid : Preserves fungal structures. Cotton blue : Stains the chitin and cellulose of the fungal cell wall intensely blue. 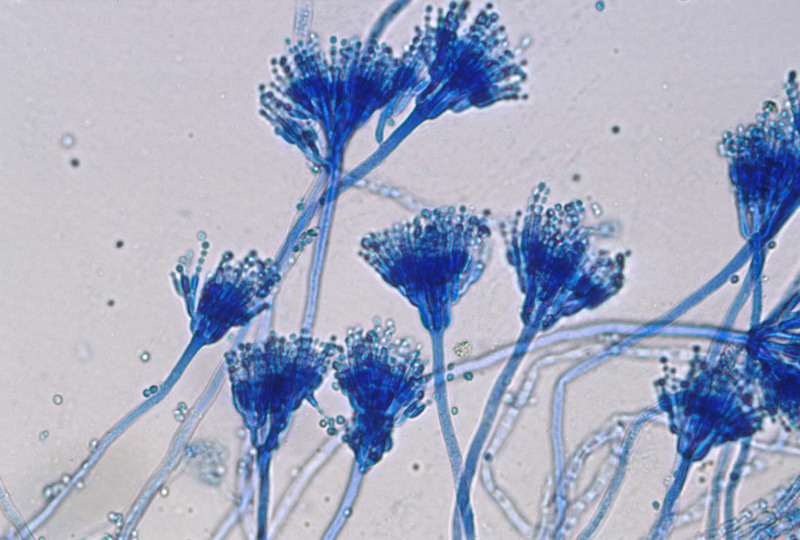 The above genus, I believe, is Penicillium and not Aspergillus. Please check. it is nice to read. I can remember easily.